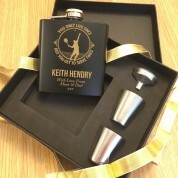 Whether for Family, Friends or Work Colleagues, there is never a bad time to give a beautifully presented gift and if you know someone who is mad about Tennis then assuming they take the occasional tipple then they are sure to appreciate this Gift Set. 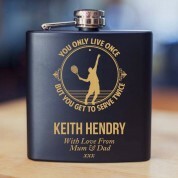 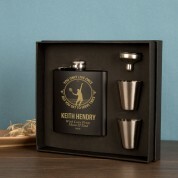 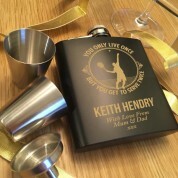 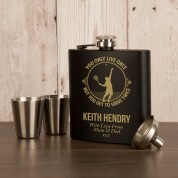 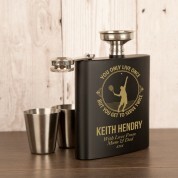 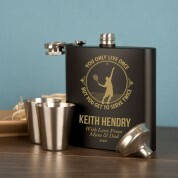 Comprising of a Personalised Tennis themed 6oz black hipflask, a pouring funnel and two drinking cups, it is presentation boxed with a molded compartment for the individual components. 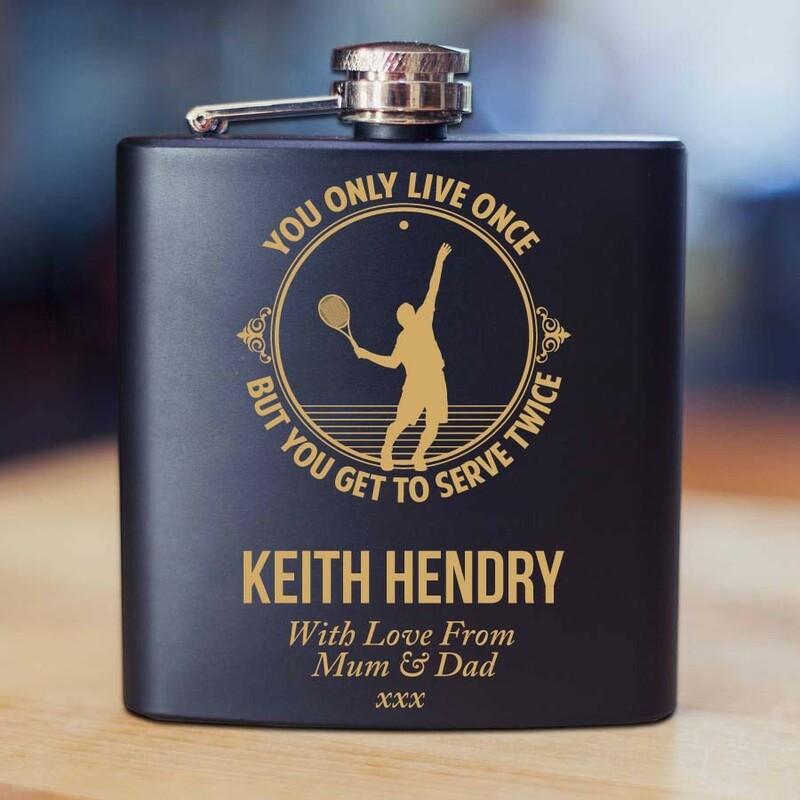 We will add the recipients Name and your short personal message to ensure it's place as a lasting keepsake of the gifting occasion.